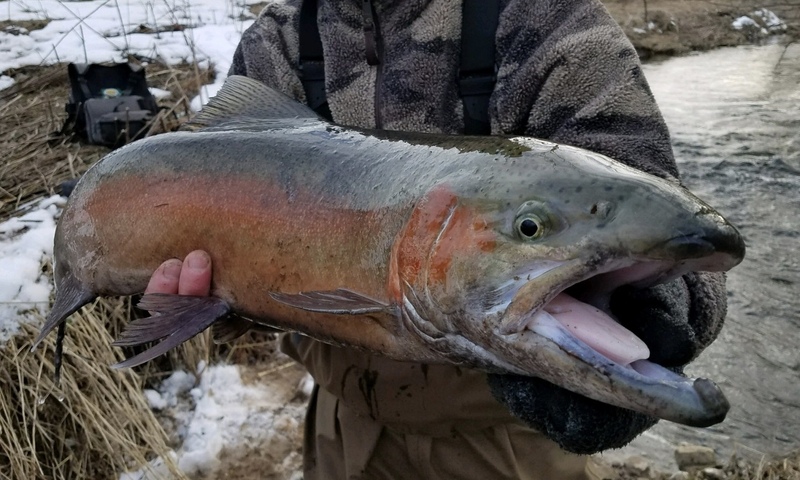 Fly fishing is a challenging and satisfying pursuit. It is an effective technique that is consuming and for many it becomes more than a hobby…It becomes a lifestyle. 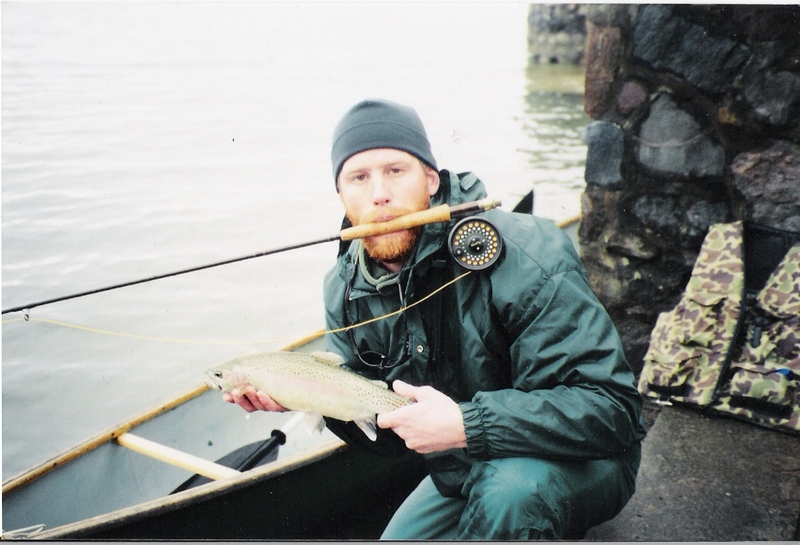 For many of us, fly fishing evolves into more of an art than a way of catching fish. 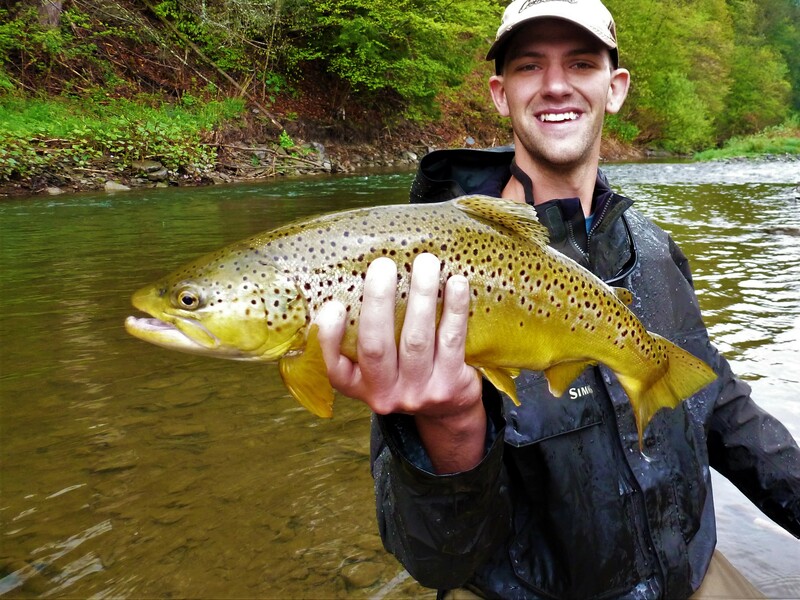 UGS fly fishing guides create enjoyable and successful fly fishing trips throughout the year. 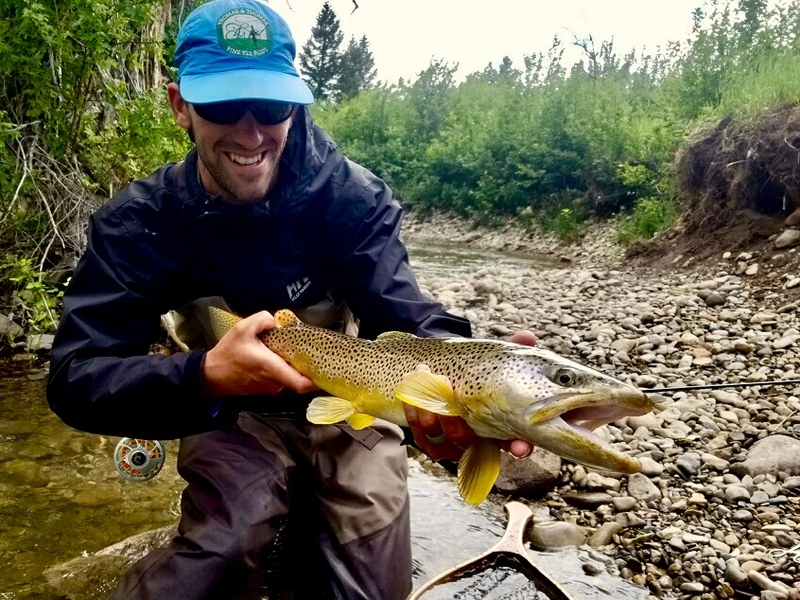 We can introduce advanced fly casters to new techniques and technical waters, help novice fly casters quickly hone their skills, or show beginners the essential mechanics of fly casting and provide an on-the-water introduction to fly fishing. 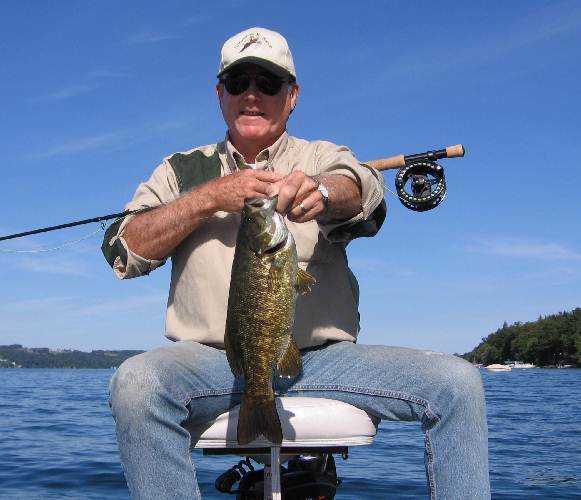 On-the-water instruction with an experienced fly fishing guide will advance your skills quickly! 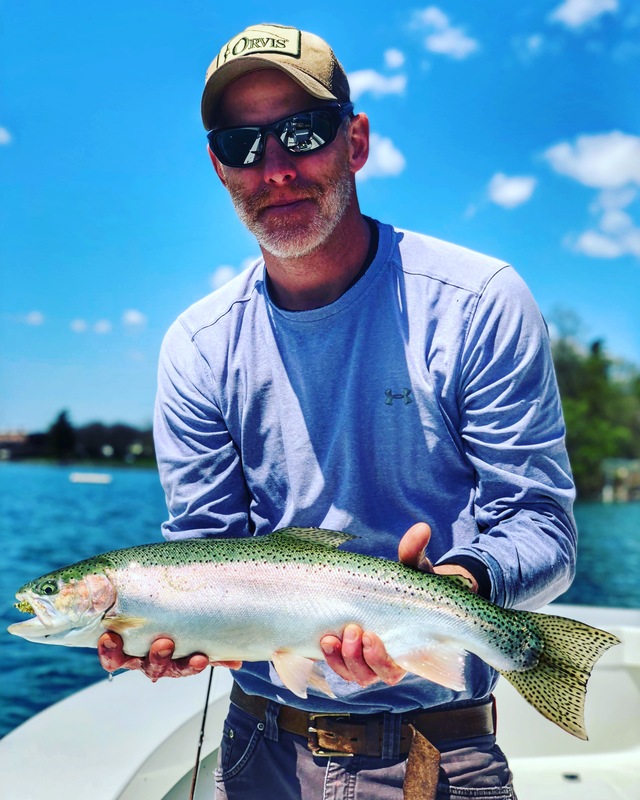 Stillwater fly fishing is excellent in the eastern Finger Lakes for rainbow trout, landlocked salmon and lake trout during the spring an autumn seasons. 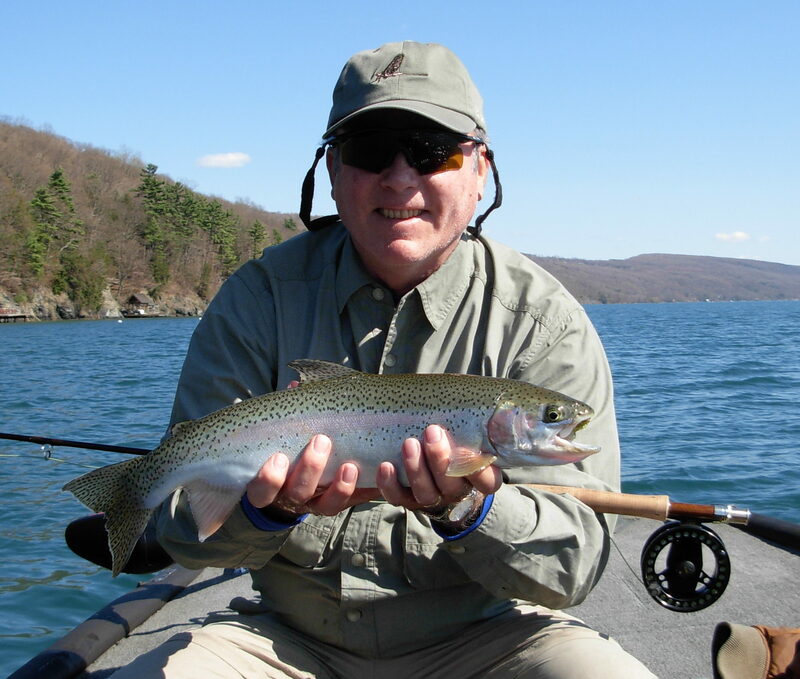 UGS has been guiding expert stillwater fly fishing trips in Upstate New York since 2003! 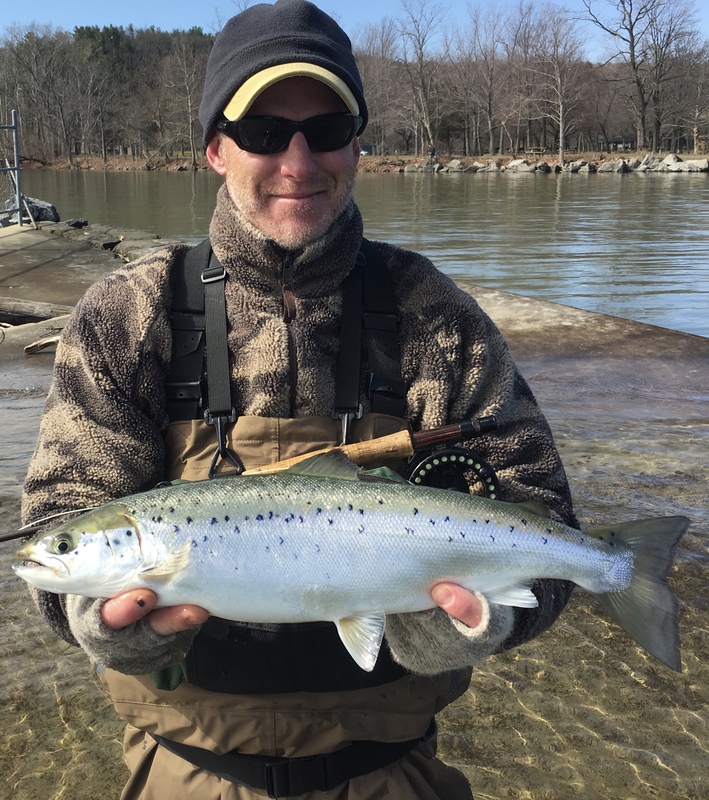 In Central New York and the greater Syracuse area, fly casters can join UGS guides to fish for native and stocked trout on miles of productive trout streams. 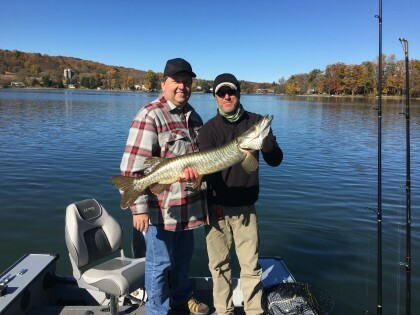 In addition, nearby lakes offer excellent fly fishing for warm water species such as smallmouth bass, carp, northern pike and tiger musky! 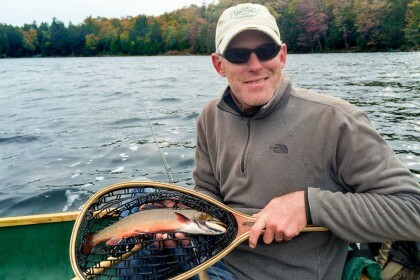 Fly fishing in the Adirondacks for brook trout, brown trout and lake trout is a pursuit that UGS has been specializing in for over 20 years. 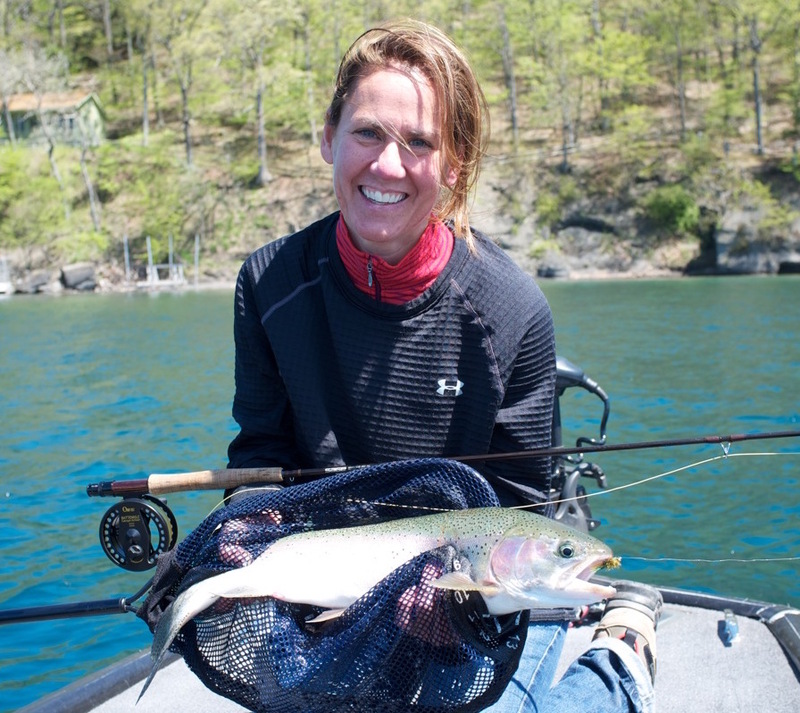 These trips are professionally outfitted and expertly guided. 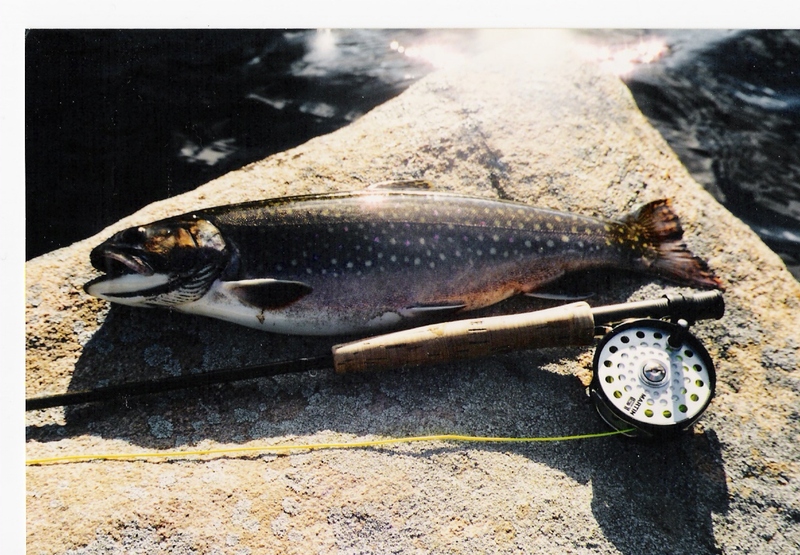 Extended overnight fully outfitted backcountry trips into remote Adirondack trout ponds are available for individuals and small groups. 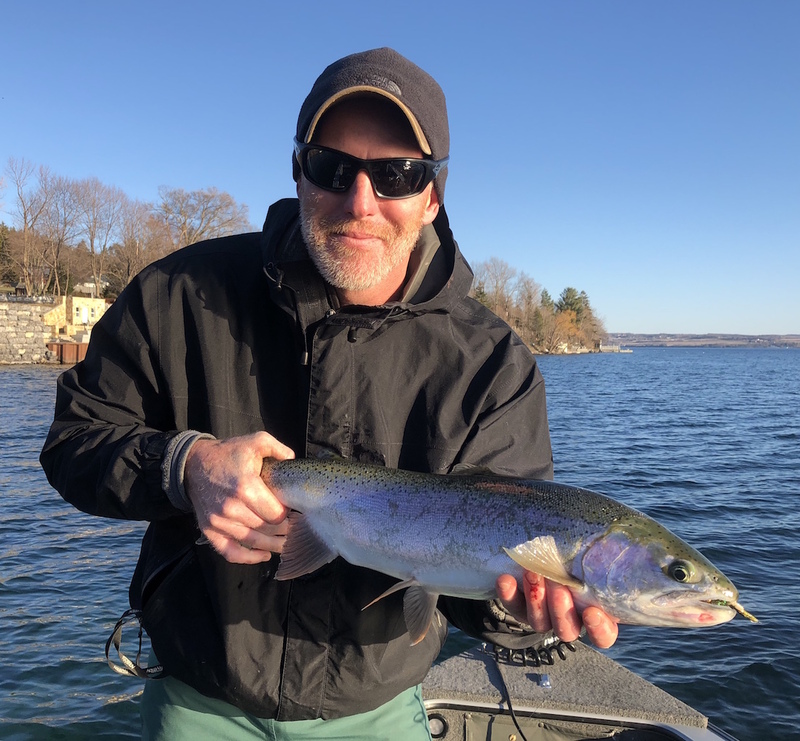 Each autumn and spring, lake-run trout and steelhead are found migrating into many Lake Ontario and Finger Lake tributaries throughout western and central New York. 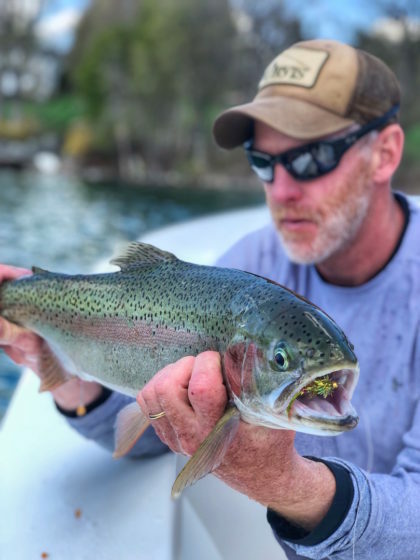 UGS guides can lead you on productive waters and show you effective techniques to catch trophy trout and salmon! 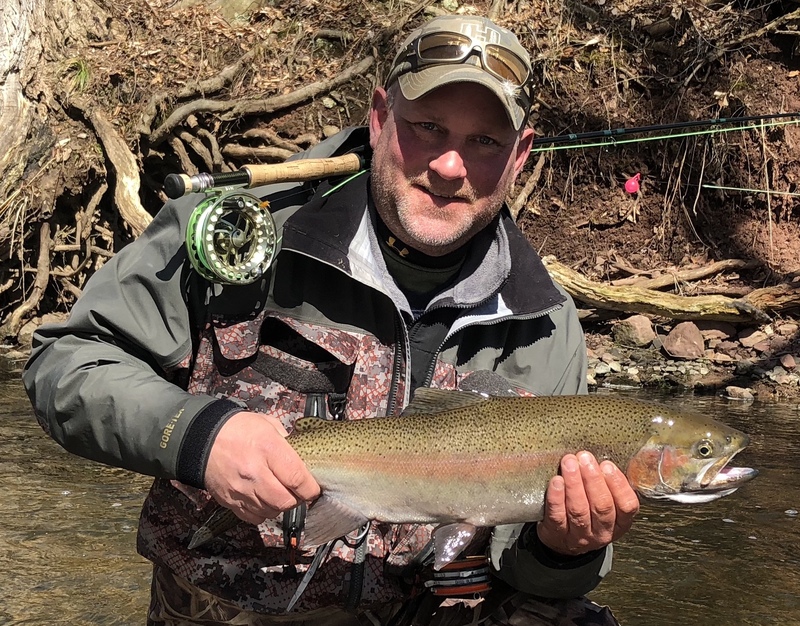 Bruiser Buck Steelhead On A Fly! 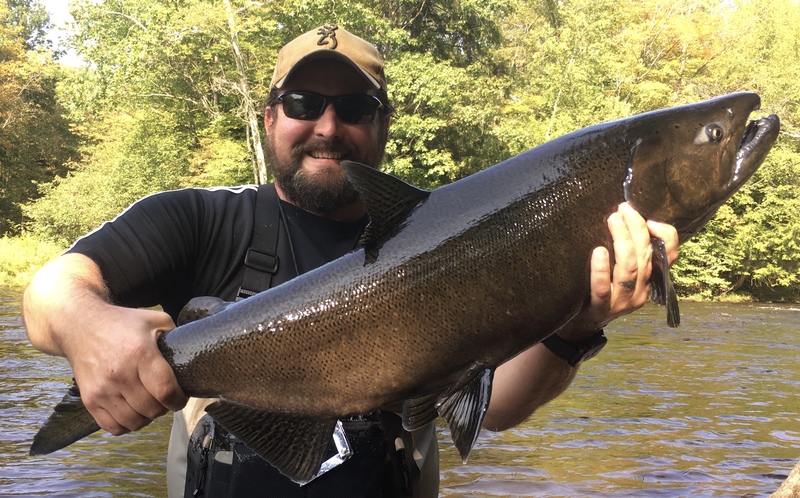 UGS Inc. is a professional licensed and insured guide service that is focused on exceeding the expectations of our guests every time out. 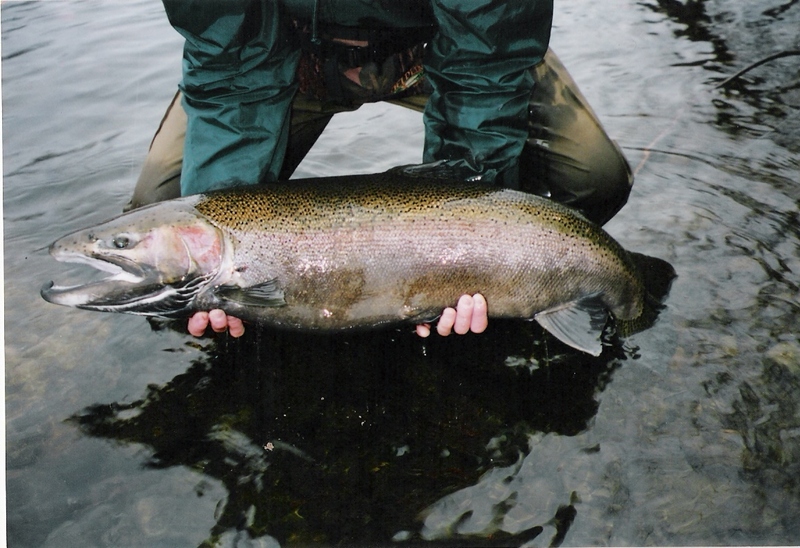 We promote responsible and sustainable angling methods and practice catch-and-release fly fishing.